RARE FIND describes this 5+/- Florida beautiful acreage with gorgeous views and a large pond at a terrific price. 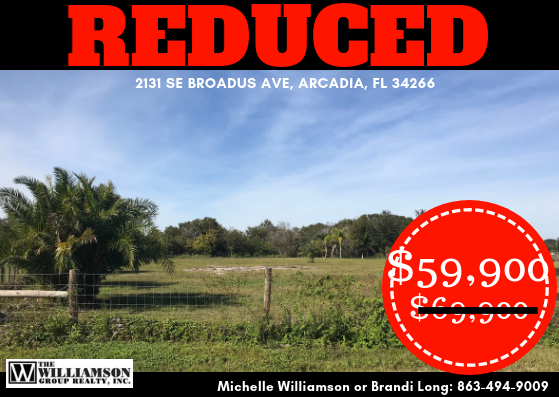 This property is zoned agricultural so bring your animals, start your very own farm, build your dream home, start your first investment -planting blueberries, an orange grove or any other type of orchard. This property is nestled in Southern DeSoto County, is completely fenced and is high and dry! THE PRICE IS PERFECT AND SO IS THE LAND!